Whatever your thoughts on whether we should improve our looks or stay natural, there is really only one reason people go to beauty salons, and that’s to enhance their appearance. Whether you’re looking to gain confidence with laser hair removal, or lightening your hair, having your eyebrows waxed or skin enhanced, the last thing you want is having to leave the salon and think about ‘can you sue a salon for messing up your hair?’ or ‘can I sue for laser burns?’. While most salon visits are a pleasure, those that go wrong can not only affect us physically but also emotionally, and can even lead to such a loss of confidence in our appearance that we become depressed. But what can we do if we suffer a beauty salon treatment gone wrong? Can we bring a lawsuit against a hair salon, or a claim against a beauty salon? Well, yes, in some cases we can. If you’ve suffered a beauty salon treatment injury, we can offer actionable advice you can trust. Simply ring 0161 696 9685 for more information, but do read below first, as your questions may be answered in one of the sections below. What Is A Beauty Salon Injury? How Does Consent For Beauty Treatments Work? When Might The Salon Ask You To Sign A Consent Form? What Is The Best Way To Make A Claim? There are lots of different things we can do to enhance our looks, from eyebrow shaping, dying and microblading, to nail enhancements, hair enhancements and hair removal. Whatever the reason you’re off for a beauty salon treatment, you’re sure to expect that the results will leave you feeling better about your appearance. However, salon accidents do happen, and can lead to injury in some cases. If you have been a victim of beauty salon negligence, you’re likely to feel extremely frustrated that things have gone wrong and it could have been prevented with proper care and attention. You may be thinking about how to report a beauty salon UK, but you could also be considering whether there could be some sort of recompense for the traumatic experience you’ve been through too. If you have been thinking along those lines, it’s likely that the idea of getting a personal injury lawyer has crossed your mind, but you may be unsure as to whether you’d be able to afford one. Within the sections below, we talk about how you can in fact afford a personal injury solicitor without denting your bank account. First, we’ll take you through the possible personal injury claim amounts you could receive, discuss injuries in more detail, then talk about no win no fee beauty salon treatment injury claims and how we can help you. We hope you find the below of use. We don’t recommend a personal injury claims calculator for a beauty treatment gone wrong claim, simply because there are a huge amount of intricacies that need to be taken into account when making beauty treatment claims. Not only should they consider the costs incurred perhaps to put things right for laser hair removal negligence or a weeping scalp after bleaching hair for example, but also the suffering you’ve borne, physically and emotionally. However, we know people want an approximation for certain injuries, whether it’s eyebrow wax burn compensation or any other beauty salon negligence claim, so we’ve pulled some figures from the Judicial College’s Guidelines for your reference. We’d be happy to clarify any of these over the phone. When you’re injured, whether a hairdresser burnt your scalp with bleach, or you suffered scarring from laser hair removal, you’re likely to have been in pain. This is the part that dictates the general damages awarded as part of your claim. Not usually a cost associated with beauty treatment injury claims, a care cost would be included if your children had to be looked after because you couldn’t, or if you couldn’t do things yourself and needed a carer for a time, these costs could form part of the claim. Whether you needed time off work to correct laser burns or had time off with depression after receiving scarring, loss of income can be considered as part of your claim. In addition, if the injury affects your work, which it might do heavily if you’re a model or some such, you might be able to claim future losses of earnings. Any travel necessary as a direct result of your injury would be covered. If you’ve had to pay for anything associated with your injury, such as prescriptions or a counsellor to help re-build your self-esteem, then this might be able to be a part of your claim. A beauty salon injury relates to any sort of accident or injury that has happened at a beauty salon and was not your fault. For example, this could be burns from wax that was too hot. In order to make a claim, you will need to show that the salon is to blame for what has happened to you. The beauty industry covers a wide range of treatments, including minor cosmetic procedures, skin piercing and body art, lip fillers, botox, micro-dermabrasion, laser skin treatments, spas, hairdressing, nail bars, tanning and spray tanning. According to statistics, 70 per cent of workers at beauty salons sustain work-related injuries when carrying out their duties. Before any beauty procedure is carried out, you will need to sign a consent form. You should do this once the beautician has explained all of the side effects. This means the salon will not be responsible for any side effects that are commonly linked to the procedure. However, this does not mean they are not responsible for any injuries caused because of their negligence, and you can also claim if they have not explained the risks and procedure properly. If you are a new customer or if you are undergoing a treatment you have never experienced before, it is imperative that the beautician carries out a patch test. This is to make sure that you do not have a negative reaction to the products that are used during the treatment. There are many different situations whereby a salon may ask you to sign a consent form. This could be when you are having your hair dyed, for example, or when you are having lip fillers. Make sure you read the form in full before you sign it. A beauty treatment is something to look forward to. From going to the spa for a massage to going to the tanning salon for a spray tan, we all enjoy treating ourselves from time to time. However, on a rare occasion a trip to the beauticians or a spa can prove to be anything but a treat. 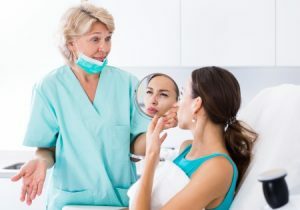 If you have suffered at the hands of negligence or an error during a beauty treatment you should definitely consider making an accident claim. As you can see, whilst injuries from beauty treatments may not be extremely common, there are lots of different scenarios that can arise and, unfortunately, there are people who end up being a victim to one of these situations. In the next sections, we will look at some of these injuries in further detail. A lot of people opt for laser hair removal so that they can get rid of any unwanted facial or body hair, yet they do not know the risks that are involved. The therapist needs to be qualified and experienced enough to handle the laser. If they are not, injuries can arise. This can lead to itching, skin sensitivity, infection, removal of hair from the wrong areas, removal of too much hair, scarring, and skin burns. This can also cause psychological troubles because of the nature of the injury. It is also imperative to note that the professional is responsible for ensuring you are aware of everything that is entailed and the risks associated with it. You can claim if the professional has been negligent and not informed you of all of this. For more information on laser hair removal burn compensation, give us a call. We will ensure we match you with a solicitor that can help gain you the maximum laser burn settlements. You may think going to the salon to get your hair dyed is the safest thing in the world. However, there are a number of precautions that need to be taken. 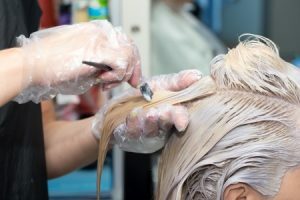 Pre-dye tests are a necessity for new customers especially to make sure you are not allergic to the hair dye being used. Scalp burns can result if this happens. Severe injuries can also happen if hair dye has been left in too long, sensitivity is not checked for, and chemicals are not mixed properly. Chemical burn scalp hair loss can often be severe and cause a loss of confidence. We can help you claim for both physical and psychological injuries caused by a chemical burn on scalp from hair dye. One of the most common incidents of beauty treatment negligence involves using wax that is too hot. This will obviously cause burns to the person that is undergoing the treatment. If this happens to you, you will be able to make a claim for beauty negligence. You can also make a claim if you have had a chemical peel that has gone wrong. Chemical peels are designed to take away your skin’s superficial layers so that you are left with a smoother appearance. A lot of people go for this treatment if they have acne scars. Chemical peels should only be applied by beauty therapists that are experienced and trained, as they can cause burn injuries otherwise. Semi-permanent is made by using coloured minerals and glycerine, and placing them under your skin’s superficial layers. Because of this, it has the same risks as getting a tattoo. An allergic reaction is one of the biggest risks associated with applying semi-permanent makeup. Before the application, a sensitivity test must be carried out. If this is not done, severe burns or an allergic reaction could occur, and you would be able to claim for this. Dyeing eyelashes or attaching eyelash extensions requires experience and a steady hand. If the beauty technician is not experienced or is distracted, this could easily cause an eye injury, for example, a chemical burn to the eye, scratched cornea, or a bacterial infection. There are instances whereby there can be permanent scarring, which can cause extensive remedial procedures, and they are often very expensive. There is a three-year time limit on the vast majority of personal injury cases. This personal injury claims time limit starts from the date of the accident, and the only exceptions relate to incidents when injuries have occurred over time, which does not tend to happen with beauty treatments unless you have had a delayed reaction to one. However, if you’re at all unsure of any of the below table, do call our team for clarification. Here at Advice.co.uk, you will experience all of the benefits that have been highlighted above. This is because all of our provided solicitors work on a No Win, No Fee basis. The best thing to do to determine whether any company is right for you is to ask them a set of questions. So, let’s take a look at some of the things you should be asking them to determine if the service they offer is suitable, as well as providing information on how we fulfil this criteria here at Advice.co.uk. How long have you been working on personal injury claims? You need to establish that the solicitor has a considerable amount of experience or not. You don’t want to go for someone that is just starting out and effectively learning on the job. You want to be safe in the knowledge that they have won many personal injury cases time and time before. Here at Advice.co.uk, we will match you to a specialist solicitor with experience. Have you worked on cases similar to mine before? Establishing overall experience is one thing, but there are many different types of personal injury cases, and you will want to discover whether the solicitor has worked on cases similar to yours. For instance, if you have been involved in a beauty accident, you don’t want to opt for the services of a solicitor that specialises in road traffic accidents. Luckily, solicitors we provide have worked on many beauty treatment cases before. Are you willing to work to a No Win, No Fee payment agreement? One of the most important pieces of advice on hiring a solicitor that anyone could give you is to go for a solicitor that is happy to work to a No Win, No Fee payment agreement. There are many benefits to be gained by going down this route. You will only pay legal fees if your case is a success and this ensures that risk is minimised by a considerable degree. It also increases your chances of benefitting from a quality service, as the solicitor is going to be impacted by the outcome of your case. All of our provided solicitors are No Win, No Fee. If you are ready to make a claim, or you have any questions about beauty treatment or hairdressing compensation claims, all you need to do is give us a call. The number you need is 0161 696 9685. You will speak to one of our friendly advisors, who will give you all the assistance you need. There are plenty of other ways to get in touch too. Why not leave your details and we will call you back at the earliest opportunity? Cosmetic treatments – NHS Advice – Information from the NHS on types of cosmetic treatment. Surgery abroad – NHS – You’ve received treatment abroad? Here’s the NHS guide to this.